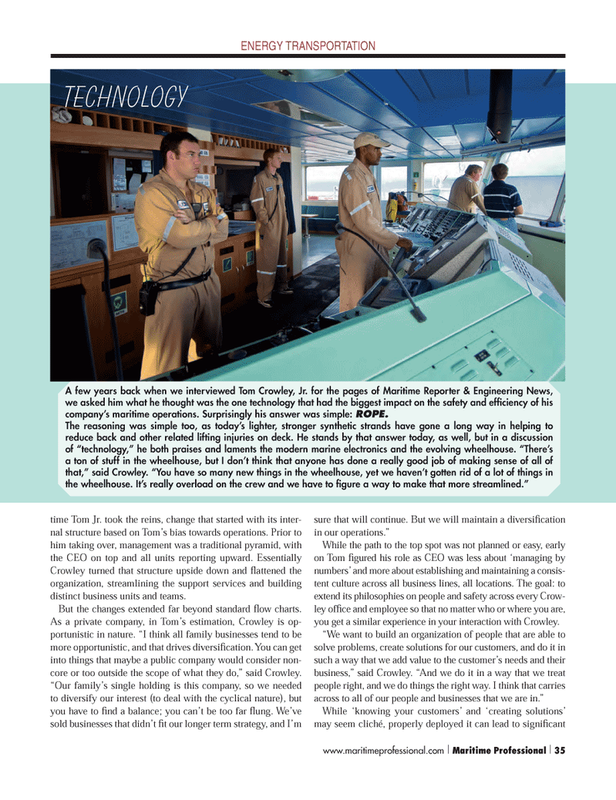 A few years back when we interviewed Tom Crowley, Jr. for the pages of Maritime Reporter & Engineering News, we asked him what he thought was the one technology that had the biggest impact on the safety and effi ciency of his company’s maritime operations. Surprisingly his answer was simple: ROPE. Crowley turned that structure upside down and fl attened the organization, streamlining the support services and building distinct business units and teams. But the changes extended far beyond standard fl ow charts.